Urinary tract infection (UTI) refers to the presence of clinical signs and symptoms arising from the genitourinary tract plus the presence of one or more micro-organisms in the urine exceeding a threshold value for significance (ranges from 102 to 103 colony-forming units/mL). Infections are localized to the bladder (cystitis), renal parenchyma (pyelonephritis) or prostate (acute or chronic bacterial prostatitis). Single UTI episodes are very common, especially in adult women where there is a 50-fold predominance compared with adult men. In addition, recurrent UTIs are also common, occurring in up to one-third of women after first-episode UTIs. Recurrences requiring intervention are usually defined as two or more episodes over 6 months or three or more episodes over 1 year (this definition applies only to young women with acute uncomplicated UTIs). A cornerstone of prevention of UTI recurrence has been the use of low-dose once-daily or post-coital antimicrobials; however, much interest has surrounded non-antimicrobial-based approaches undergoing investigation such as use of probiotics, vaccines, oligosaccharide inhibitors of bacterial adherence and colonization, and bacterial interference with immunoreactive extracts of Escherichia coli. Local (intravaginal) estrogen therapy has had mixed results to date. Cranberry products in a variety of formulations have also undergone extensive evaluation over several decades in the management of UTIs. At present, there is no evidence that cranberry can be used to treat UTIs. Hence, the focus has been on its use as a preventative strategy. Cranberry has been effective in vitro and in vivo in animals for the prevention of UTI. Cranberry appears to work by inhibiting the adhesion of type I and P-fimbriated uro-pathogens (e.g. uropathogenic E. coli) to the uroepithelium, thus impairing colonization and subsequent infection. The isolation of the component(s) of cranberry with this activity has been a daunting task, considering the hundreds of compounds found in the fruit and its juice derivatives. Reasonable evidence suggests that the anthocyanidin/proanthocyanidin moieties are potent antiadhesion compounds. However, problems still exist with standardization of cranberry products, which makes it extremely difficult to compare products or extrapolate results. Unfortunately, most clinical trials have had design deficiencies and none have evaluated specific key cranberry-derived compounds considered likely to be active moieties (e.g. proantho-cyanidins). In general, the preventive efficacy of cranberry has been variable and modest at best. Meta-analyses have established that recurrence rates over 1 year are reduced approximately 35% in young to middle-aged women. The efficacy of cranberry in other groups (i.e. elderly, paediatric patients, those with neurogenic bladder, those with chronic indwelling urinary catheters) is questionable. Withdrawal rates have been quite high (up to 55%), suggesting that these products may not be acceptable over long periods. Adverse events include gastrointestinal intolerance, weight gain (due to the excessive calorie load) and drug-cranberry interactions (due to the inhibitory effect of flavo-noids on cytochrome P450-mediated drug metabolism). The findings of the Cochrane Collaboration support the potential use of cranberry products in the prophylaxis of recurrent UTIs in young and middle-aged women. 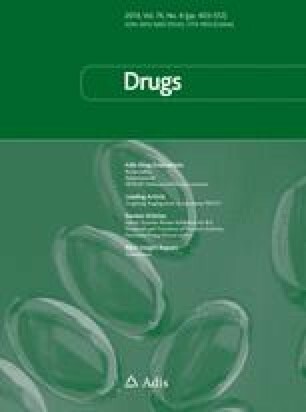 However, in light of the heterogeneity of clinical study designs and the lack of consensus regarding the dosage regimen and formulation to use, cranberry products cannot be recommended for the prophylaxis of recurrent UTIs at this time. No funding was provided for the preparation of this article. The author has no conflict of interests that are directly relevant to the content of this review.